Wanna kick back with a decade of hip-hop gold? Remember the shiny suits, and the jeep beats? The Other Bar has you covered. Come get jiggy with it and nod your head to 90’s main players like Backstreet Boys’, N-Sync, Robin S. Puff Daddy, Mase, B.I.G., Pac, …whoever you loved then and still love today. 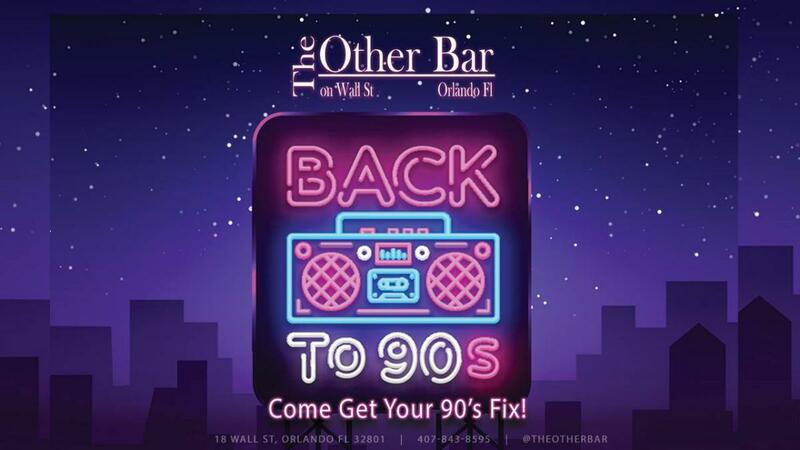 So, stop looking for your I Love the 90’s CD and come get your 90’s fix @ The Other Bar. Every Thursday night. Finally, it’s safe to wear hammer pants again.